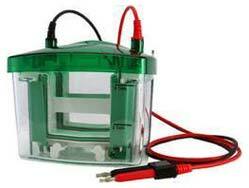 We, as a Manufacturer, Importer & Supplier, are involved in offering Protein Electrophoresis. It is durable and robust. Our team of well trained staff keeps manufacturing process under stringent supervision to ensure our quality is in conformity with different standards set by industry. Hence, our customers can rest assured of the quality. We offer a range of designs and specifications.